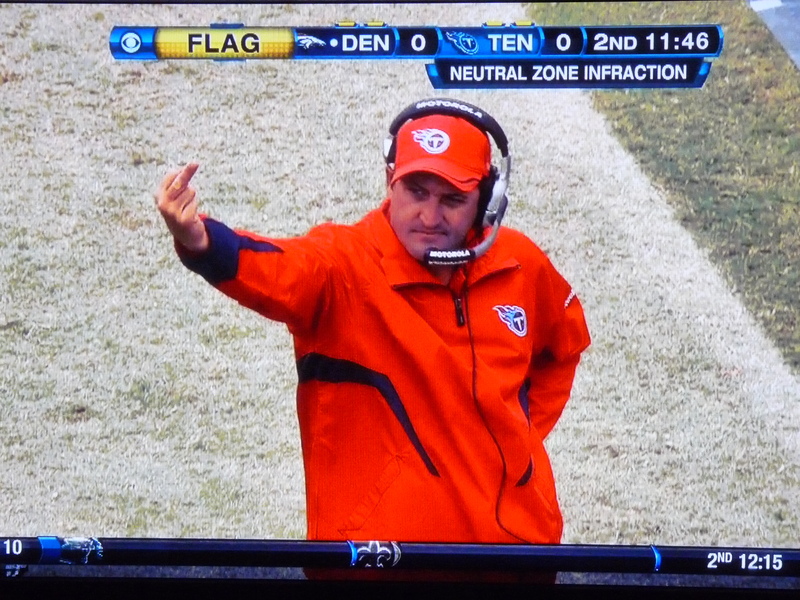 Tennessee Titans’ Coach Shoots Refs the Finger | Virginia Right! What a disgusting team the Tennessee Titans have become. Many already call their Defense the dirtiest in football with 10 personal fouls to date, including late hits on the quarterbacks. Perhaps the NFL should look into sanctions against this out of control team, starting with Defensive Coordinator Chuck Cecil. If this keeps up, NFL games will need to carry an “R” rating. Hopefully some major fines will reel in this out of control defense, starting with the Cecil. What a disgusting display of unsportsmanlike conduct.